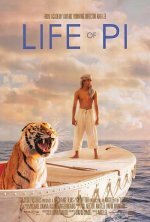 Life of Pi release date was Wednesday, November 21, 2012. This was a Nationwide in theaters release. 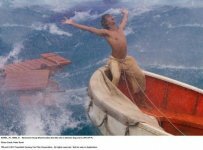 Director Ang Lee (Brokeback Mountain, Crouching Tiger, Hidden Dragon) creates an all-audience film about a young man on a fateful voyage who, after a spectacular disaster in the middle of the ocean, is hurtled into an epic journey of adventure and discovery. 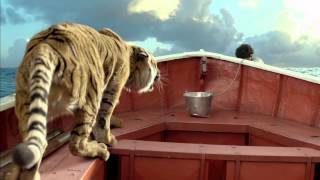 He becomes marooned on a lifeboat he must share with the ship’s only other survivor, a fearsome Bengal tiger with whom he makes an amazing and unexpected connection. 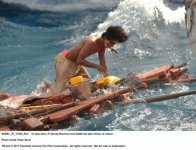 An adaptation of the best-selling novel by Yann Martel. 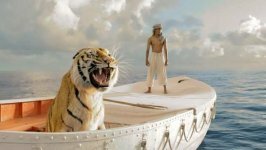 "Life of Pi" will be Ang Lee's first 3D pic, and utilize state-of-the-art technology in rendering the epic story. 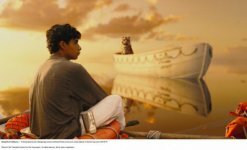 Alfonso Cuaron and M. Night Shyamalan were previously attached to direct.